Location of Birth: New Haven, Connecticut, U.S.
Jim Breyer (b. James W. Breyer) is an American business leader. He is the president of Accel Management Company, partner of Accel Partners and the CEO/founder of his investment firm Breyer Capital. Accel Partners is a global venture firm with offices located in London, Bangalore, Palo Alto and Beijing. Breyer is responsible for investments in more than 25 companies through his relationship with Accel Partners. These companies include Centillion, Collabra, Claremont, Centrum, Agile Software and Actuate. Breyer spent his junior year of college abroad in Italy. Breyer received a Bachelor of Science degree from Stanford University. He earned an MBA from Harvard University and was named a Baker Scholar. 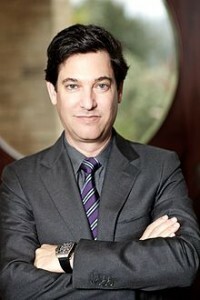 Jim Breyer has served on Facebook’s Board of Directors since April 2005. He is currently the Chairman of the Compensation Committee. Breyer formerly served as chairman of the National Venture Capital Association (NVCA). Breyer serves on the Board of the Associates of the Stanford Technology Ventures Program, Pacific Community Ventures, Technet and Harvard Business School. Breyer is also an investor in the New York organization Art.sy. In his spare time, Jim Breyer explores opportunities that pertain to his interest in art, photography, cinema, education, international and independent films and travel. His favorite artists include Edward Hopper, Zhang Huan, David Hockney, Gerhard Richter, Murakami and Picasso. In the early stages of his career, Jim Breyer worked at New York’s McKinsey & Company as a management consultant. He also served in the product management and marketing departments of Hewlett Packard and Apple Computer. Breyer would eventually create Breyer Capital, an investment and venture capital firm for which he is the chief executive officer. Jim Breyer is currently a board member of Dell, Inc. In the past, he had acted in the same role for Marvel Entertainment. There, he was one of the founding members of the organization’s Strategic Planning and Finance Committee. Breyer also chaired the Strategic Planning Committee for Wal-Mart Stores, Inc., eventually serving as the Lead/Presiding Independent Director. In December 2005, the Yuelu Academy of China’s Hunan University named Breyer as an honorary professor. Breyer formerly served as president of the Western Association of Venture Capitalists. He was also a trustee of The Menlo School, along with the San Francisco Museum of Modern Art. Jim Breyer was a former chairman of both the Harvard Business School California Research Center and the Silicon Valley region committee, which served the Campaign for Undergraduate Education at Stanford University. Fortune Magazine selected Breyer as one of technology’s ten smartest people in August 2010. He was also named as technology’s smartest investor. The Midas List, published by Forbes, ranked Breyer as the top investor for each of the last three years. Jim Breyer is a member of several committees in the World Economic Forum, as well as a member of the Lead Director Network. Breyer was elected in 2011 to News Corporation’s board, receiving over 98 percent of the shareholder vote. In June 2012, Breyer earned the Silicon Valley Lifetime Visionary Award. In October of that same year, he was selected for the Vanity Fair New Establishment Hall of Fame. In February 2013, Jim Breyer was chosen as a fellow for the Harvard Corporation. The Harvard Corporation is the university’s senior governing board. The lobbying group FWD.us was launched in 2013, with Breyer named as one of its founders. Breyer owns minority partnership in the Boston Celtics.